Begin by unraveling your wire and wrapping it loosely around your vase. This will give you an idea of how much wire you’ll need to achieve your desired look. Nail polish will allow you to customize your wire, and with so many colors available, the possibilities are endless! 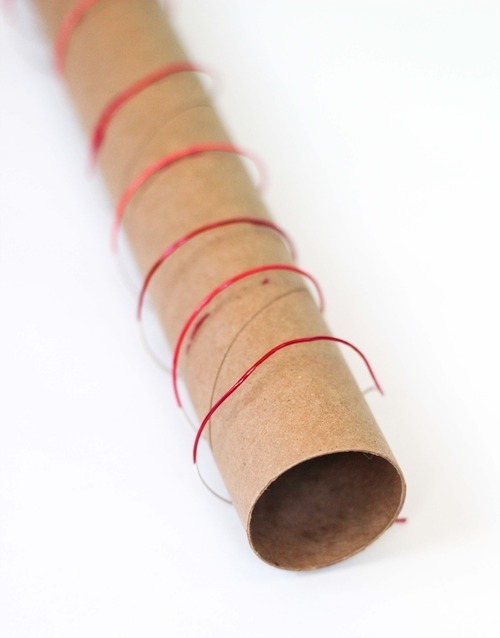 Wrap your wire around a paper towel roll and apply 1-2 coats of desired color(s). Apply a clear top coat to set. When dry, flip roll over and complete the same process on the unpainted wire. Once your wire is good and dry, wrap once around your vase and twist with your jewelry pliers. Leave a small section of wire to help you finish at the end. Wrap the wire around the vase until you can’t make it around again. Twist the remaining wire to the small piece you left at the beginning. Use your jewelry clippers to cut off any excess wire. Be sure to wear protective eyewear and clip the wire away from your face. Fill with flowers and enjoy! To make your wire really pop, take a large plant leaf and wrap on the inside of your vase.